A new proposal before the AOS NACC (I like that almost as much as the test we had to take in junior high, the PSAT NMSQT) would alter the English names of North American birds named for people by removing the “possessive” -s from the designation of the eponym: thus, for example, we would once again have the Harris sparrow, the Franklin gull, and the Steller jay, aligning them with the Zenaida dove, the Thekla lark, the Narina trogon, and so on. is not acceptable in English if Franklin or Steller or Harris is the proper name of a known person. “The Franklin’s Tale” is not a counterexample, as the anonymous teller of the story is a “franklin” by profession, not by name. And “a Steller’s” or “some Harris’s” makes sense only if we mean “a certain person named Steller” or “some guy called Harris,” clearly not what is intended in either phrase. Birders may have got used to such barbarous constructions. But try it in another context and I bet your language faculty stumbles. Instead, any native speaker will write and say “the Chaucer version,” “a Verdi overture,” “some Bocaccio novella.” Likewise, any non-birding native speaker will stutter when confronted with “the Pallas’s warbler” or “a Scopoli’s shearwater” or “some Pander’s ground jay,” and we would too had we not been corrupted by decades of solecism. a circumstance whose significance Dwight failed to recognize. 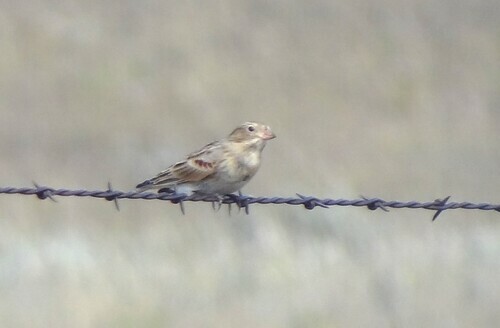 Baird’s Sparrow occurs in Dakota…. The sparrow is a Baird Sparrow. If he sits on a mullein stalk he is the Baird Sparrow who sits on a mullein stalk. It’s a nice distinction — in both senses of the word — but it’s overthought, and would have as its result that Centronyx bairdii had not one but two English names, one for the species in the abstract and one for the animals belonging to that species. The proposal submitted this month to the AOS has already drawn more than its share of withering scorn. But that scorn is inspired by simple inertia, and I have yet to read a truly cogent objection to reviving the practice of the zero-ending eponym. Giving the birds their official labels, applying the official names to the things in front of us, is quite simply what birding is in post-Griscom American culture. Indeed, our stubborn insistence on the link between objects and their names has completely elided the difference between the word and the thing it is meant to denote, such that using the wrong name for a bird has become tantamount to misidentifying the bird — two mistakes that to my mind should be considered as belonging to entirely different classes of error. An illustration: You may know those two small black and white grebes backwards and forwards, but I defy you to always, without fail, pin each of the names auritus/nigricollis/Slavonian/horned/eared/black-necked to the right bird. It is too easy in the heat of the seawatching moment, especially if you happen to be watching a different sea from the one you’re used to, to blurt out the wrong name even when you have correctly recognized the bird. Only a naive kind of linguistic realism could account that a “misidentification,” but that is precisely the conclusion most birders would come to. asserted in 1886 as literally the organization’s First Principle in matters nomenclatural. In that same year and in that same document, the AOU (one’s fingers always yearn to type “the fledgling AOU,” don’t they?) affirmed that “zoological nomenclature is the scientific language of systematic zoology, and vernacular names are not properly within its scope,” a principle adhered to in practice by Check-list committees (and their Check-lists) for the next sixty years. Things appear to have changed in the 1940s (a fascinating story in itself), and by 1957, when the fifth edition of the Check-list finally appeared, the AOU had made its claim to be the authoritative issuer of English names. There was an attempt in the late 1970s by the American Birding Association to reassign that responsibility (remember the “Northern Junco”? The “Thin-billed Murre”? ), but in spite of its adoption in the “new” Peterson of 1980, that alternative list of vernacular names never caught on. Now, the AOU/AOS committee may be ruing the long-ago day that Eugene Eisenmann and colleagues sat down to produce that first list of “official” English names. The past several years have seen more and more formal proposals submitted to the committee urging the alteration of English names for one reason or another, proposals supported with arguments ranging from the more or less cogent to the downright silly. A few have been ratified by the committee, most rejected — but all take time and attention away from the real work of the committee, the assessment of evolutionary relationships and the alignment of scientific nomenclature to reflect those relationships. Already this fall two proposals have been published to change English names. 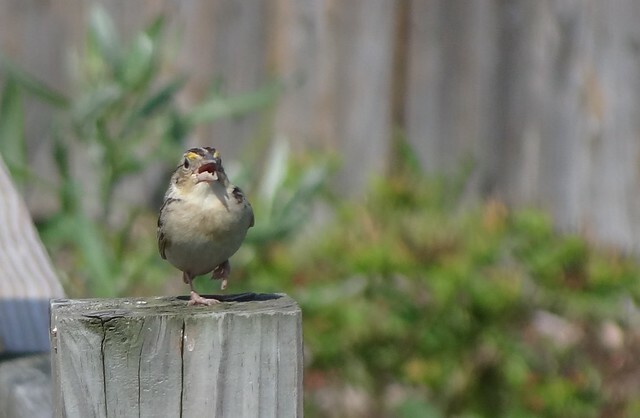 One, to rename the Saltmarsh Sparrow as the “Peterson Sparrow,” is entirely gratuitous and will, I trust, be dismissed out of hand by the committee. The other may turn out to be more difficult. The stunning and little-known McCown Longspur is named for the man who first collected it, in 1851. Ten years later, John P. McCown would join the ranks of traitors who took up arms against their country in defense of slavery. My first reaction matches that of the proposal’s authors: McCown’s is not a name we should commemorate, especially given that –incredibly, shockingly — there are those who still openly celebrate his role in a treasonous uprising to keep a people enslaved. Elliott Coues, who served on the right side of the Civil War, ultimately called the bird the Black-breasted or (far better) the Bay-winged Longspur, and I now plan to follow his lead in the field. Lawrence did not claim to be “honoring” McCown when he named the bird; McCown’s subsequent biography is entirely unknown to virtually all those who use the English name; bird names do not positively celebrate their sources as statues and other memorials do. And then there’s the big one. is only a name, having no meaning until invested with one by being used as the handle of a fact; and the meaning of a name so used, in zoological nomenclature, does not depend on its signification in any other connection. Even if saying it didn’t make it so, that statement should be philosophically incontrovertible to all but the most benighted linguistic realists. And yet: while all can agree that there is nothing essentially McCownian about the longspur, labeling it officially with that name inevitably calls to mind the man and his crimes, even for us good nominalists out there. Whatever the committee’s decision, this proposal may finally be what breaks the seventy-year hold of the AOS on the English names of North American birds, freeing field guide authors, birders, even normal seagull watchers to make wise and informed decisions about what they want to call their birds. Also known, as of this latest Supplement to the AOU Check-list, as the Morelet seedeater. 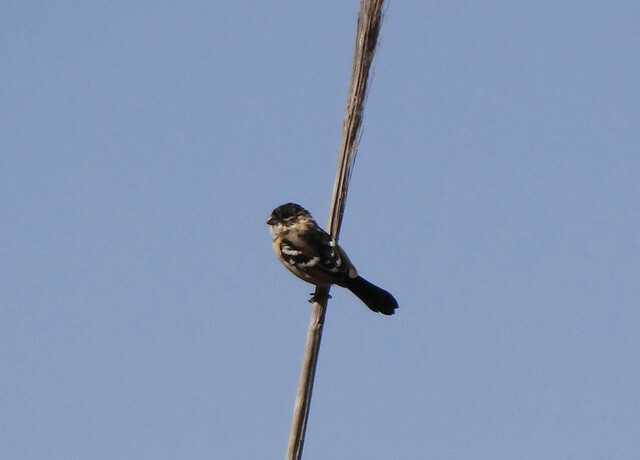 The re-split of the white-collared seedeater into the Morelet seedeater and the cinnamon-rumped seedeater will strike many birders as a “no-brainer,” and the NACC’s decision in this case aligns the AOS taxonomy with most other authorities’ treatment of these tiny tanagers. The only thing we’re likely to have trouble with is the spelling of the name of one of the “new” species. 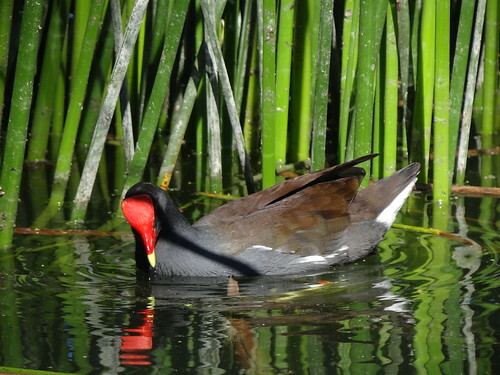 As the NACC points out, both the scientific and English names of the northern bird commemorate the Burgundian natural historian, novelist, and illustrator Pierre Marie Arthur Morelet, active in the mid-nineteenth century in Africa, the Azores, Middle America, and the Caribbean. In 1850, two years after Morelet’s return from Central America, Charles Bonaparte published a new seedeater in his honor — but misspelled the explorer’s name in the species epithet, an error that has never been corrected and likely cannot ever be. Morelet had collected the first specimens in northern Guatemala in 1847; Bonaparte examined them at the Muséum national d’histoire naturelle shortly thereafter. I understand Bonaparte’s mention here of the MNHN curator Jacques Pucheran as identifying the author of a manuscript name, probably on the specimen label, adopted and then misspelled, or at least not corrected, by Bonaparte. In any event, we are stuck with the error, and with the disparity between the number of consonants in the English name and in the scientific name. 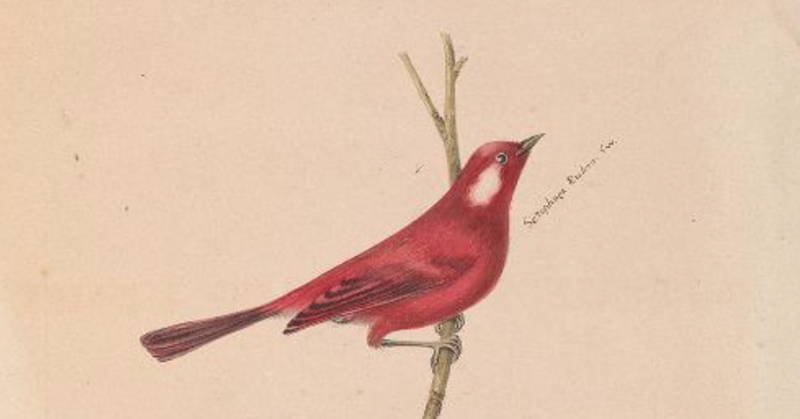 Less than a year after Bonaparte’s publication, John Porter McCown collected two male seedeaters in Brownsville, Texas, the first records of the genus north of Mexico. Now numbers 41295 and 41296 in the collections of the American Museum of Natural History, these birds were at first identified by George N. Lawrence as white-throated seedeaters, a species known only from northeastern South America. In July 1856, Philip Lutley Sclater demurred, suggesting that the individuals Lawrence had described were probably in fact representatives of the Morelet seedeater. Two years later, with at least one of the McCown specimens at hand, Spencer Baird — in an authoritative book written with the assistance of George Lawrence — agreed. We know today that Sclater and Baird were right, but it took decades for the matter to be settled. 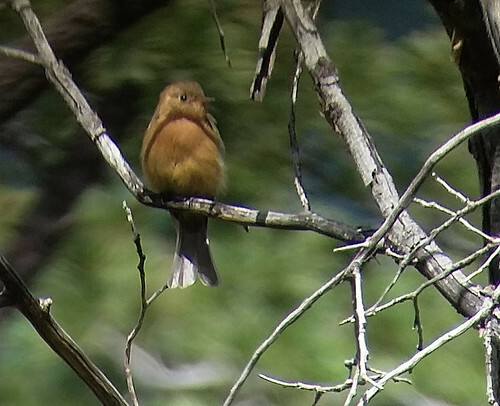 In 1888, Richard Bowdler Sharpe determined that the Texas birds were female ruddy seedeaters; in what should have been a sweet piece of poetic justice, Lawrence himself had described that species six years earlier. In gentlemanly response, Lawrence re-examined other Texas specimens belonging to George Sennett, then on deposit at the American Museum. 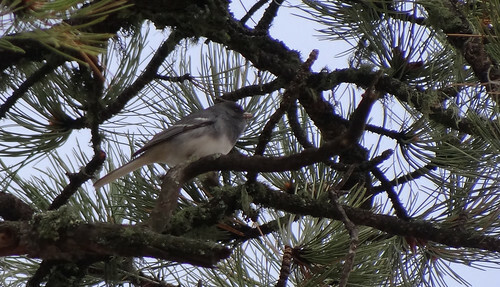 He was able to dismiss their allocation to the ruddy seedeater, but found at the same time that they were not identical to “the true S. morelleti,” either. He accordingly described the northerly specimens as a new taxon, S. morelleti sharpei, recognizing in the subspecific epithet his “friend, Mr. R.B. Sharpe, as he is the only one to have recognized it as being distinct” from nominate morelleti. 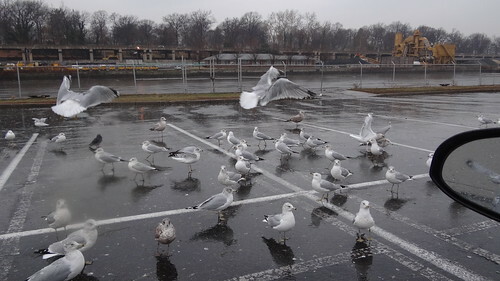 The source of all that confusion was the dull plumage of males in the northern portions of their range. Generations of birders have been mildly disappointed on seeing their first Texas seedeaters at how far from truly “white-collared” the birds there are. Robert Ridgway, in declining to recognize Lawrence’s sharpei, speculated that “fully adult males have simply not yet been taken” north of Mexico, and that it was just bad luck that we in the US did not get to see the more dramatically marked individuals. The AOU quickly removed sharpei from its list of recognized subspecies. the adult males of the Texas form do not acquire the broad black pectoral collar and the black back of typical morelleti, and … in consequence … have been considered as … immature. The differences extended to females as well, and Allen found them sufficient to reinstate Lawrence’s sharpei. The bird variously known in English by such names as the little seedeater, the Sharpe finchlet, and the Sharpe pygmy finch re-entered the AOU Check-list the next year. 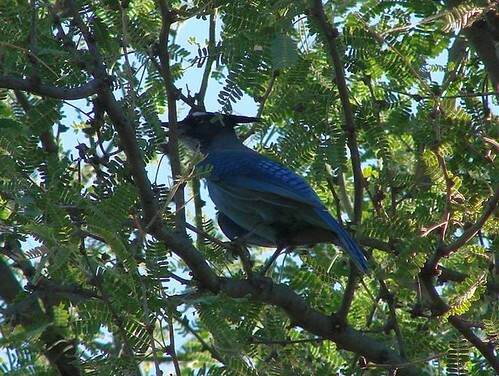 It is still recognized as a valid subspecies by the most authoritative world lists. 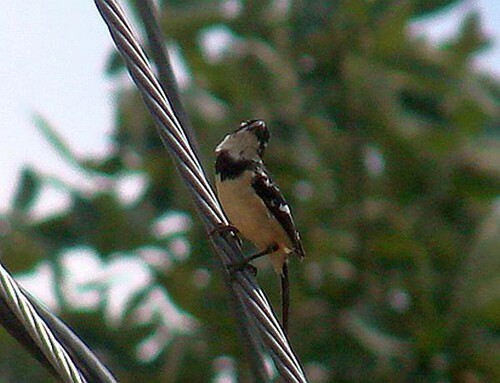 Next time you get to see a Morelet seedeater, remind yourself who Morelet was. 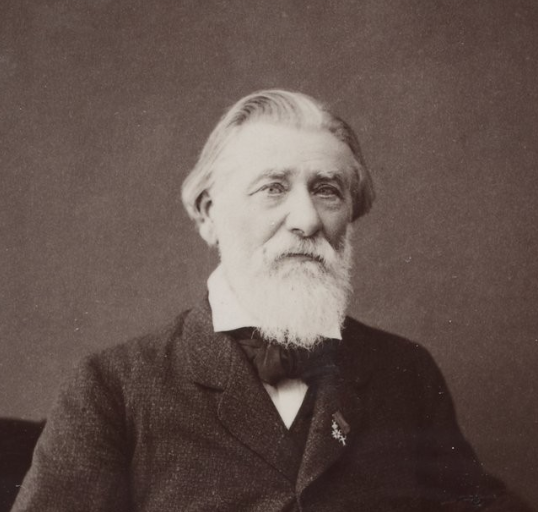 But also give a thought or two to those who dedicated so much time to figuring out just what the French naturalist had collected on that day in 1847. Thanks to the skill and industry of the members of the NACC, the July 2019 Supplement to the venerable and authoritative Check-list of North American Birds is out now. Much is new, much is new again, and everything is food for good thought. Most important of all may be the implicit guidance the Committee provides writers and editors struggling with the recent merger of the former American Ornithologists’ Union and the former Cooper Ornithological Society as the American Ornithological Society. It’s a great thing not to have to worry any longer about the wanderings of that blasted apostrophe, but it can apparently be challenging to find the correct and consistent way to identify the work and the works of the three organizations. The NACC here draws us a bright editorial line: The authors and publishers are still to be identified under the corporate names in effect at the time of publication, even as authority and “ownership” have been passed down to the new joint organization. Thus, the author and publisher of the 1998 Check-list and its predecessors is and ever shall be the American Ornithologists’ Union, but the responsibility for that book now belongs to the AOS. Perhaps now we will see less anachronism when the organizations are named in print. The Cuban vireo, amythest-throated hummingbird, and pine flycatcher also make the list. 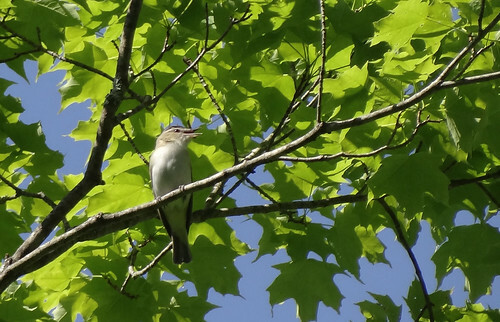 The vireo and the flycatcher were long-awaited species, each of them discovered exactly where one might expect: two separate Cuban vireos in two successive Aprils at two southern Florida localities, and the pine flycatcher in early summer 2016 in Arizona’s Santa Rita Mountains. 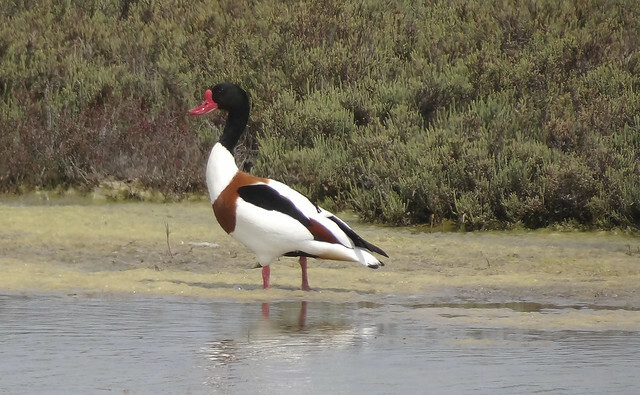 Calling these records “long-awaited” and “expected” should not let us forget that birders’ detection, identification, and documentation of these subtle species was a significant achievement. The amythest-throated hummingbird’s second occurrence north of the Mexican border could be described in much the same terms: a male photographed in the Davis Mountains of Texas in October 2016. 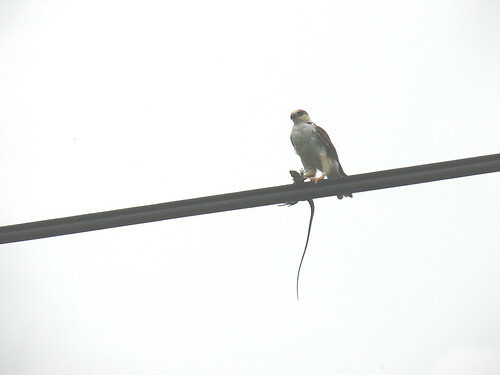 But little could have been less expected than the first, a male discovered in Quebec a few months earlier. Changes to English names are always of particular interest to us birders. The red-breasted blackbird, familiar to travelers to the American tropics, is now known as the red-breasted meadowlark, an eminently sensible revival of a name more clearly reflecting the bird’s appearance and evolutionary affinities. The replacement of the name “gray jay” by “Canada jay” probably represents the only act of the NACC ever to have penetrated into the semi-popular consciousness, thanks to efforts over the past couple of years to have the species declared the national bird of Canada. The Supplement lays out the arguments in favor of this nomenclatural innovation, unfortunately leading off with the misapprehension that the new name “was used for P[erisoreus] canadensis in the first and second editions of the Check-list” and concluding with the one truly cogent observation that the use of “Canada” for this bird “is symmetrical with the geographical names of the other jays in this genus.” I have (and can have) no objections to the Committee’s conclusion, but it is poor strategy to argue from the sloppy typography of others. Taking the view from taxonomic eternity (which is, what, about eighteen months? ), alterations to official vernacular names are trivial to the point of irrelevance, and I am mildly surprised that the Committee still spends its time on such matters. Of far greater significance are the Committee’s determinations of phylogenetic relationships, relationships that are expressed in formal scientific nomenclature. This Supplement offers two big changes of interest to birders in the US and Canada, one in the passerellid sparrows, the other in the woodpeckers. In keeping with the latest genetic work, the Committee (re-)splits the old catch-all genus Ammodramus, leaving under that name only the grasshopper sparrow and its two South American relatives. The Baird and Henslow sparrows are returned to the genus Centronyx (“spurred nail”), a fitting restoration given that the genus name was coined by none other than Spencer Baird, eponym of the ochre-faced sparrow of the northwestern Great Plains. 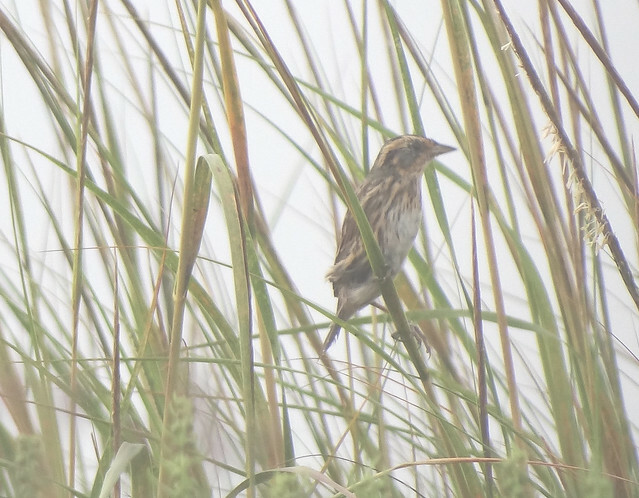 The LeConte, Nelson, seaside, and saltmarsh sparrows return to Ammospiza (“sand sparrow”). 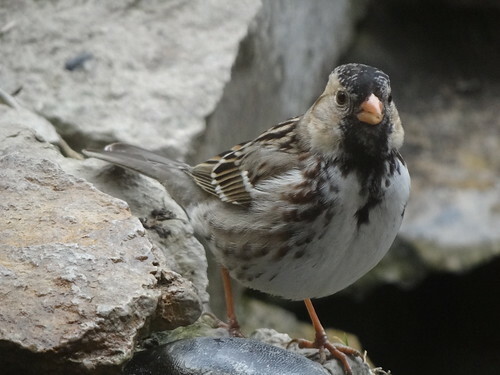 I can imagine that the various Seaside sparrows are destined to find themselves re-split at the generic level someday, too, in which case Oberholser’s Thryospiza would apply to them. Even in making these splits, the Committee kept the Ammodramus, Centronyx, and Ammospiza sparrows together in the Check-list‘s linear sequence. This is not in accord with recent studies finding that Ammodramus (in its new, strict sense) diverged from the others very early on; I expect that the position of this genus will shift in another Supplement one of these years. The large woodpecker genus Picoides has also been split, retaining (in North America) only the six-toed black-backed and American three-toed woodpeckers. 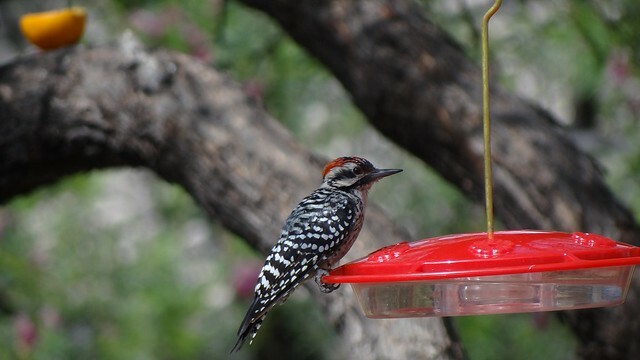 All of our other “pied woodpeckers,” including the downy, hairy, Nuttall, ladder-backed, red-cockaded, white-headed, and Arizona woodpeckers are placed in Dryobates (“tree runner”), a genus name replaced long ago, in the Twenty-second Supplement, by Dryocopus. Changes in family assignment are even less frequent than those in genera. The storm petrel family Hydrobatidae is now split in two, the new family of Southern Storm Petrels going under the name Oceanitidae and including the Wilson, white-faced, and black-bellied storm petrels and their congeners. 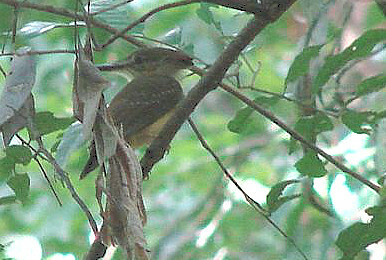 Another new family includes several “flycatchers” known (so far!) only from south of the southern US border. The family Onychorhynchidae now includes the ruddy-tailed flycatcher, the flycatchers of the genus Myiobius, and the royal flycatcher(s). That (or those) last species are officially burdened with a hyphen (“royal-flycatcher”), and I imagine that the others will be, too, at some point. The species-level splits here will be of interest to birders lucky enough to travel in the southern portions of our hemisphere. Among them is the division of the red-eyed vireo into “our” familiar northern species and the resident Chivi vireo of South America. 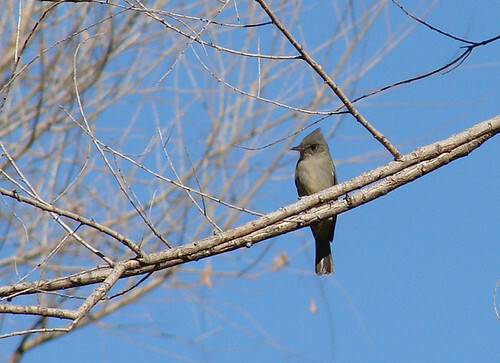 The tufted flycatcher, suddenly familiar to many birders thanks to its continued (and probably increasing) presence in southeast Arizona, has also been split; the southern bird is now known as the olive or olive tufted flycatcher. This is far from the only change in our understanding of the tyrant flycatchers. The entire family has been reorganized to reflect a new scheme of subfamily allocations, and the linear sequence of species has been altered as well. The same fate has befallen the family Accipitridae. Most striking here is the fact that the kites, once thought of as somehow belonging together (and so depicted in most field guides), are spread over three subfamilies: Elaninae for the pearl and white-tailed kites, Gypaetinae for the hook-billed, gray-headed, and swallow-tailed kites; and Acciptrinae for the Mississippi and plumbeous kites, which fall in the new linear sequence between the Steller sea eagle and the black-collared hawk. As always, there is a great deal more to read and to ponder in this Supplement, and as always, some of the most interesting actions are those the Committee declined to take. Thus, for example, we still have two species of bean geese, but only one Cory shearwater and Mallard and barn owl and Audubon shearwater and LeConte thrasher and white-eared ground sparrow. Given the Committee’s activism in the case of the gray jay, I am surprised to find that they declined to change the eminently confusing and uninformative English name of the common gallinule — but grateful that they left the official vernacular name of Columba livia alone. What will next year bring? Your guess is as good as mine, and probably better, but it won’t be long before the first proposals for the 2019 Supplement appear. Stay tuned.